Medicare Supplement Insurance Plans - Complete Analysis Inc.
Are you currently enrolled in Medicare, or will qualify soon? 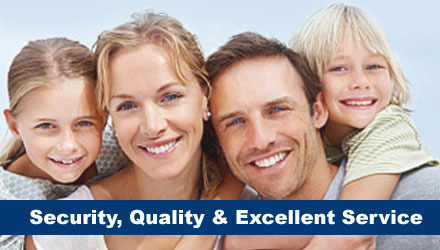 Complete Analysis, Inc. specializes in Medicare Supplement Insurance Plans locally in the Coral Springs FL area. When you enroll in the Federal Government’s Medicare Program, you have a choice between two different plan designs: Original Medicare (which includes Parts A & B) or Medicare Advantage Plans (e.g. an HMO or PPO), which is administrated by private insurance companies. The Federal Government’s Original Medicare Plan doesn’t cover all your health care expenses. There are deductibles and copayments which must be paid out of pocket. These out of pocket expenses can add up. Because of this, private insurance companies offer Medicare beneficiaries the opportunity to cover these “gaps” in coverage and purchase a Medicare Supplement Insurance Plan. Generally, the best time to purchase a Medicare Supplement Insurance Plan, also known as a Medigap Policy, is during your six month open enrollment period, which begins automatically beginning the month you turn 65 and are enrolled in Medicare B. During this period, you cannot be turned down for any Medigap policy sold in your state, regardless of your health. While there are “guaranteed issue rights” which are circumstances one can obtain a Medigap policy without answering health questions outside the six month time frame, certain conditions apply. In addition, Florida residents under 65, who obtain Medicare Parts A and B due to disability, have a six month guaranteed issue period to obtain a Medicare Supplement policy. Complete Analysis, Inc. can assist you in selecting, and applying for a Medicare Supplement Insurance Plan. A Medicare Supplement, or Medigap policy, fills the gaps in Original Medicare. What are the key benefits in enrolling in a Medicare Supplement Insurance Plans? Choose any doctor or hospital that accepts the Medicare program. This choice includes the freedom to choose a provider anywhere in the United States. There are no provider networks. (other than Medicare Supplement “SELECT” policies. SELECT policies require you to use certain network hospitals, except in an emergency). Generally you are not required to obtain a referral to see a specialist. Because it fills the gaps in Original Medicare by paying for deductibles, co insurance and co payments, you have the ability to better control health care expenses. Additionally, some Medigap insurance policies provide coverage that original Medicare does not, for example, emergency medical care when traveling outside the United States. Part A: Hospital and facility coverage: Generally, Part A helps to pay the costs when you are in a hospital. Part A also helps pay for skilled nursing and facility care, nursing home care (on a limited basis), hospice, and limited home care. Part B Medical coverage: Part B helps to pay for Doctor visits, as well as other Medicare approved outpatient services such as tests and supplies, ambulance, durable medical equipment, preventative care, and limited home health care. A Medicare Supplement Plan policy covers just one person (spouses much purchase separate policies) and is guaranteed renewable, as long as the premium is paid on time. Since Jan. 1, 2006 all Medicare Supplement plans do not cover prescription drug costs. Prescription drug coverage may be purchased separately with a Medicare Prescription Drug Plan (Part D). You may find additional information about Medicare D plans at www.Medicare.gov or call 1-800-MEDICARE. There are currently 10 Standardized Medicare Supplement Plans available in 47 states including Florida. Although standardized plans have the same benefits regardless of insurance company, customer service and premium amounts may differ greatly. So where do you go from here? At Complete Analysis, Inc. we can provide you with a report (at no cost to you) based on your zip code, to help you determine your best options. Once we have a discussion, and you decide which Medicare Supplement best fits your needs, we will assist you in the application process.